Valentine's Day - New Arrangements On Our Site! Je Ne Sais Quoi - a certain indescribably good quality about this arrangement makes it so great. 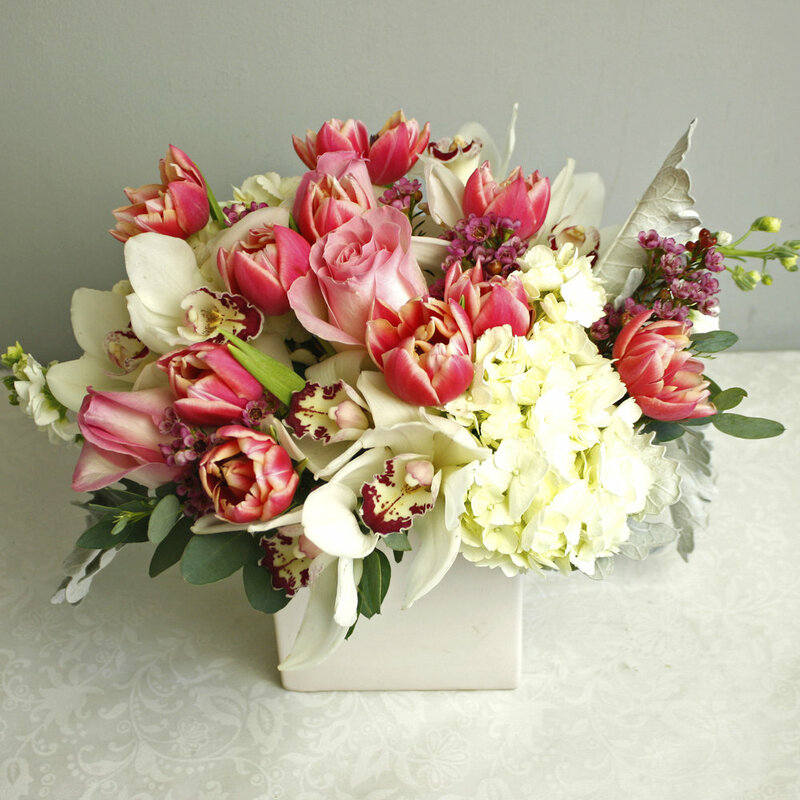 Featuring Roses, Tulips, Hydrangea, Orchids, and more! We made a few brand new items just for Valentine’s Day. These gifts are perfect for Valentine’s Day. Romantic and elegant fresh cut flowers arranged in a variety of unique and stylish containers. For Valentine’s Day we don’t just use roses, we also use hydrangea, ranunculus, hyacinth, tulips, stock, daisies and more. Long Stems delivers Valentine’s Day gifts to Merion, Narberth, Philadelphia, Gladwynne, Newtown Square, Wayne, Drexel Hill, Radnor, King of Prussia, Phoenixville, Collegeville, Ardmore, and so many more, over 200 cities and towns in the Greater Philadelphia Area. Make your Valentine’s Day special this year with a unique and one of a kind piece of floral art from Long Stems! Coup De Foudre - vibrant and beautiful this is the perfect romantic gift for Valentine’s Day. Featuring Roses, Lisianthus, Hydrangea, Stock, and more! English Manor - styled on vintage english gardens this charming floral piece is perfect for any floral lover! Featuring Roses, Ranunculus, Amaranthus, and more! 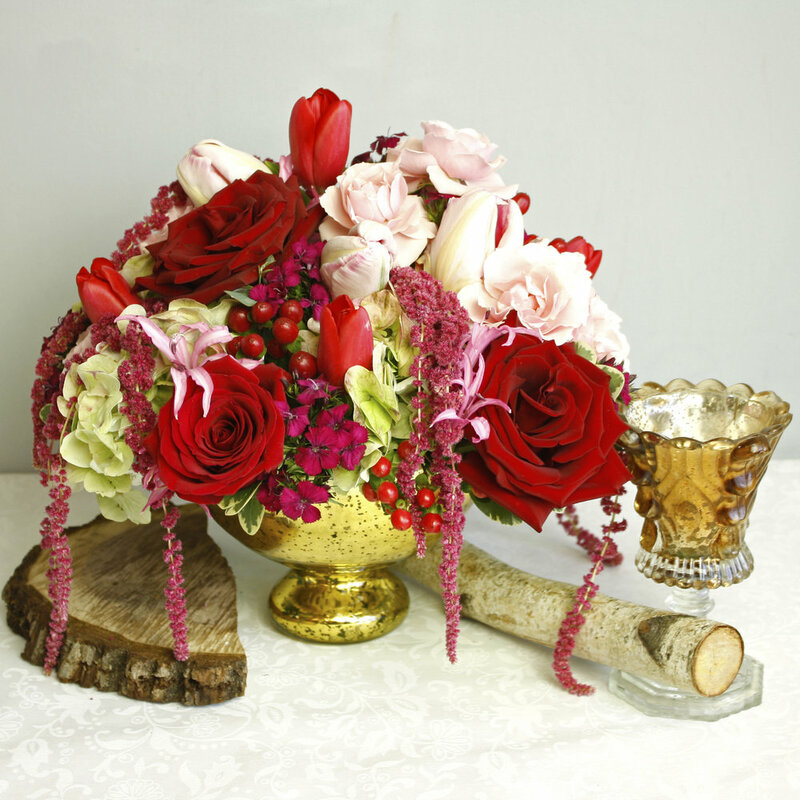 Love’s Eve - elegant gold mercury bowl full of lush flowers. A great Valentine’s Day gift, plus a vase to cherish for life! 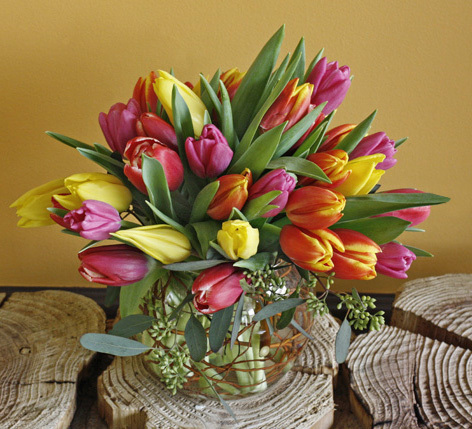 Elegant tulips in a stylish modern container. 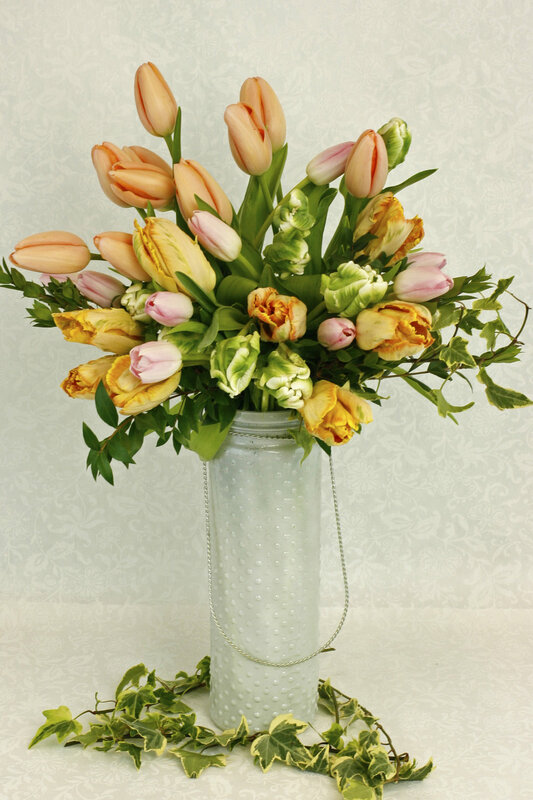 French Tulips, Parrot Tulips, and more! The spring flowers are in full bloom for Valentine’s Day. Bulb flowers like tuips, iris, hyacinth, daffodil, and others are grown in greenhouses to extend the spring season. Most of our spring bulb flowers are grown in Holland and New Jersey. We get only the finest top notch blooms to use for our Valentine’s Day arrangements. Tulips in low bowl with curly willow! Yves Piaget - garden rose prized for its amazing fragrance. Used to make several varieties of luxury perfume! Roses don’t just come in red, here are a few other unique and exotic varieties. Call our store at 610-664-7352 and ask about getting a dozen of any of these for your Valentine’s Day Gift. Valentine’s Day is a day for love and there is no better way to show your love than with a gift of stunning roses! 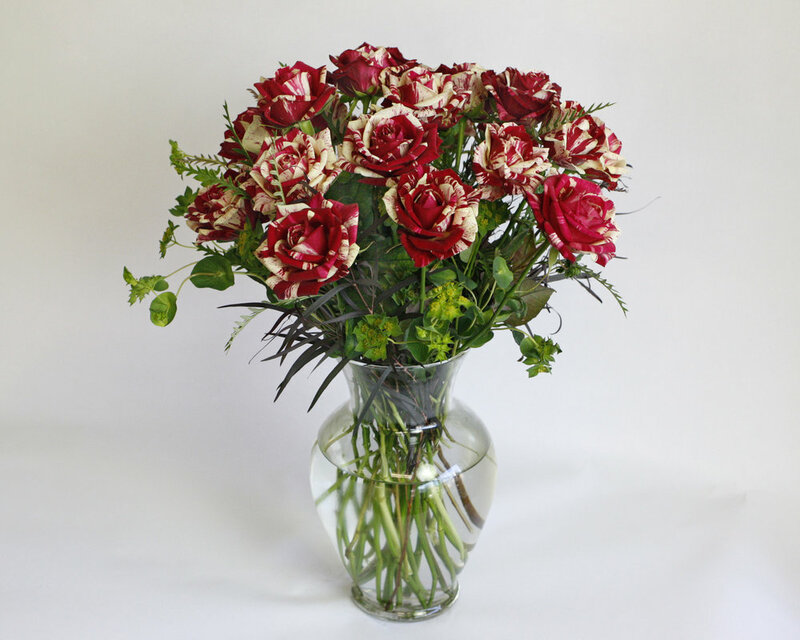 Classic and beautiful our long stemmed roses are sourced from only the very best floral farms. Give the gift of a stunning arrangement of farm fresh roses to your Valentine’s Day sweetheart! Hot Nagisa - a favorite garden rose, this rose opens to a wide and full flower similar to a peony in size! We deliver daily to over 200 towns and cities in the Greater Philadelphia Area. We deliver to Merion, Bala Cynwyd, Narberth, Philadelphia, Ardmore, Wayne, Radnor, King of Prussia, and so much more. To see if we go to your town type in your zip code on our shopping site! Look no further for your Valentine’s Day gift needs! Long Stems has been serving the Greater Philadelphia Area with the largest selection of fresh cut flowers for over 40 years!